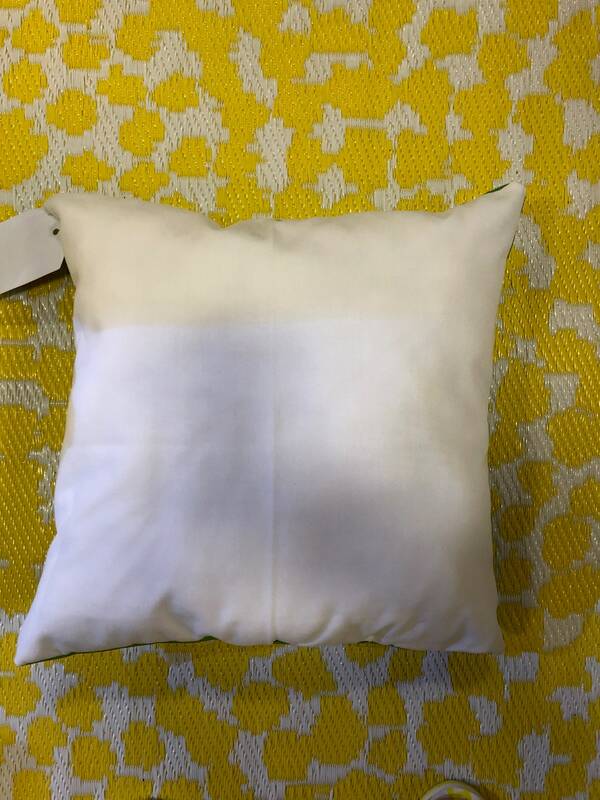 18 inch square pillow with sunbrella type fabric on the front and a white cotton on the back. 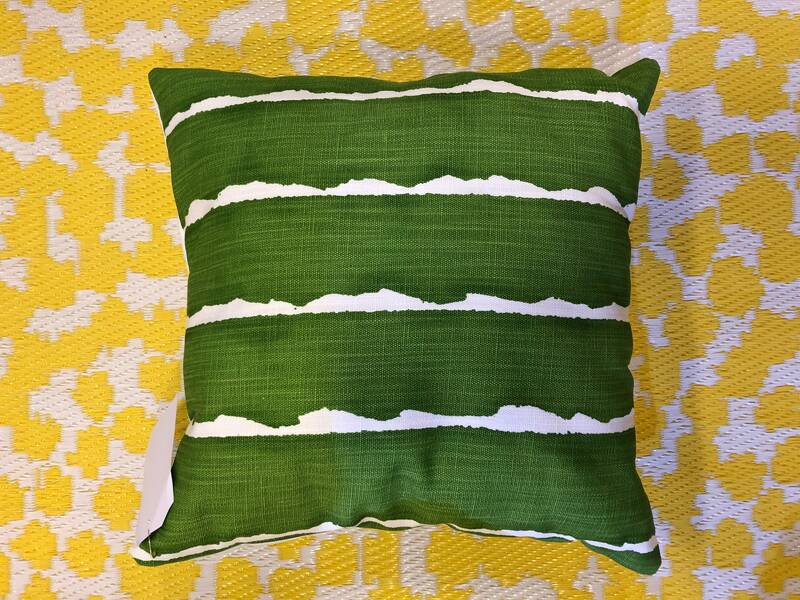 This beautiful pillow will be a great compliment to any indoor or outdoor decor. Filled with poly-fill this pillow is hypoallergenic.